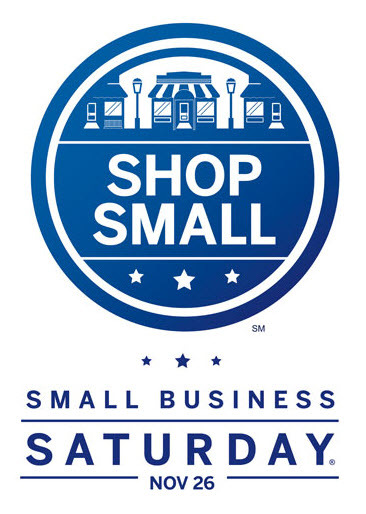 Small Business Saturday - November 26th! Hiya folks! Small Business Saturday is November 26th and I'm having special promotions in my Etsy shops! You will receive a free set of handmade holiday gift tags made in my vintage style with every purchase in my Killam Creative mixed media & greeting card Etsy shop. 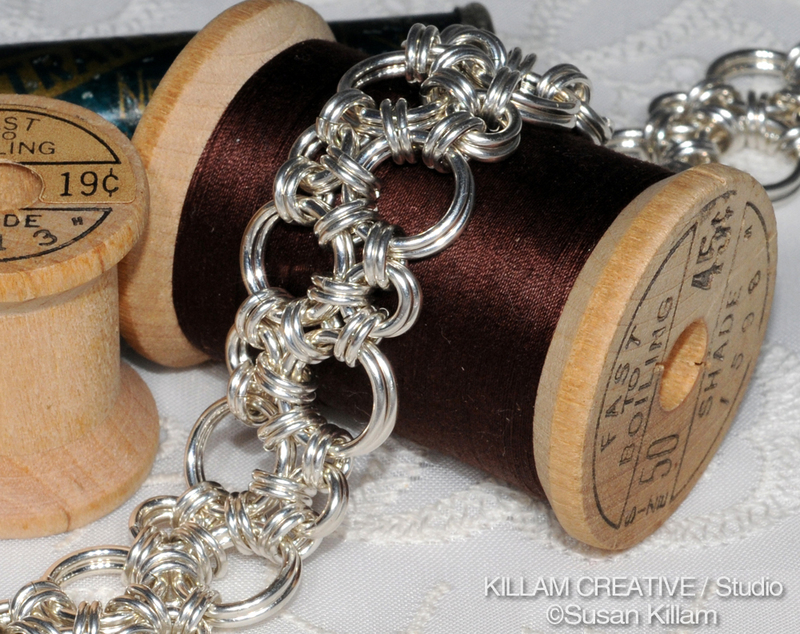 A silver chainmaille bracelet purchase from Killam Creative/Studio will include a coordinating pair of silver earrings *plus* you can use coupon code NOV2011 in this shop for an additional 10% off! Hi folks - as you probably know by now, Kimm and I have made the tough decision to stop the challenges and retire the design team. There were a lot of factors that went into this decision and as hard as it is to say goodbye, we believe it was the right one. Today I want to send out a cornucopia filled with "thank you's". I owe a lot of my creative growth to this team and our challenge participants. I don't think I would have stretched (or been pushed!) in so many different directions without all of you. Thank you! Gini - I give you credit for inspiring me to broaden my horizons and not always default to a character stamp on my cards. 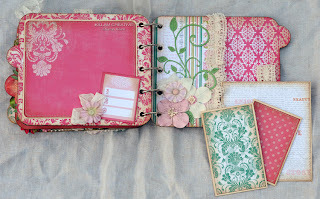 I love coloring my Magnolia stamps, but I also really appreciate the beauty of die cuts using Spellbinders and others. You are a whiz with the dies and I always look forward to your next project. And any time I rough up edges of my layers I think of you. You are the Queen of Distressed Edges! Patricia - I've always been amazed at your talent with the Tear Bears and Critters and now you're wowing me with the Beary Sweet Designs cutting files. You have a great eye and a wonderful spirit, and I cherish the friendship that has developed outside of the team. Jamie - You have inspired me over and over that there is way more "out there" than cards. 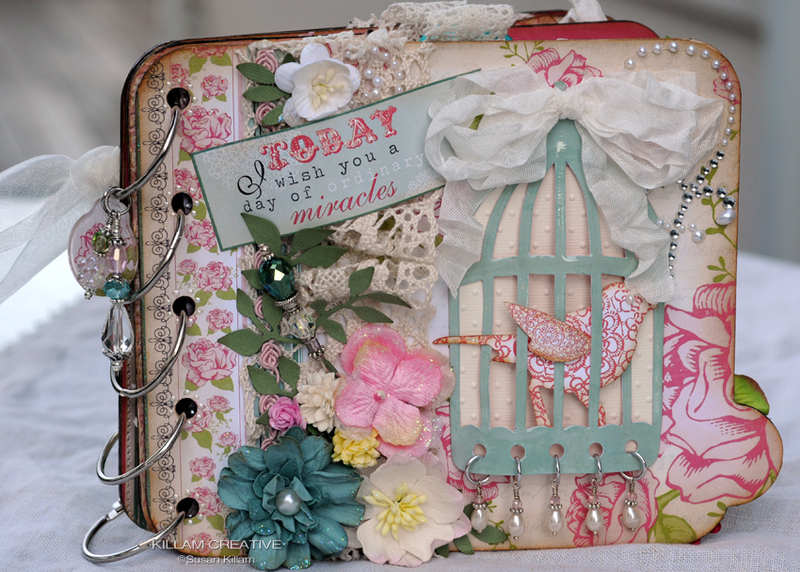 Your 3D projects are amazing and I love seeing your family in scrapbook layouts. I can't believe how much your kids have grown while this team has been together! 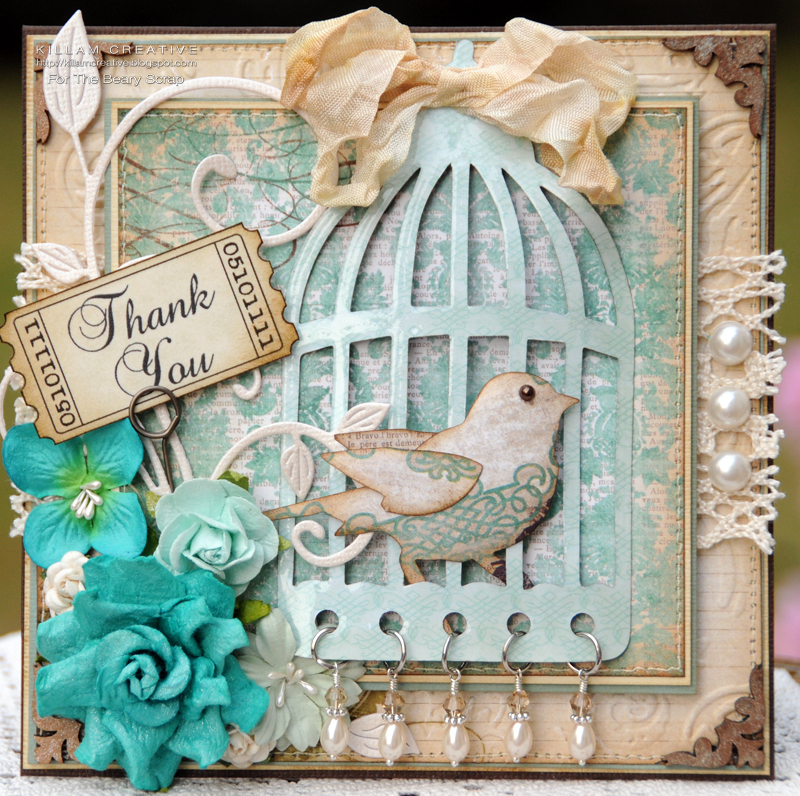 Lori - Your designs are always beautiful! I'm so glad you were able to join us and sad that our time together was so short. I look forward to keeping up with your blog and being inspired by you! Thanks so much to Elise, our beautiful former teammate and to our wonderful guest designers Brenda and Debbie. Wow, I look at these 7 names and see 7 very different styles. I've taken a "stroll" through each of our posts and really can't get over how lucky I've been to have such a talented team. Kimm - We've had a great run here, haven't we? Thank you for allowing us to offer these challenges every month and giving out great prizes. You have been very generous to me and the girls, and I am grateful. I look forward to continuing the friendship that started years ago when I discovered tear bears and you were so generous with your time. 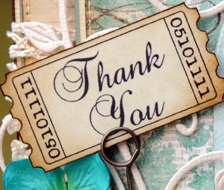 Challenge participants and blog followers - THANK YOU! It's been wonderful to visit your blogs and see your projects based on our challenges. With all my heart I appreciate your continued support of our challenges and The Beary Scrap. There is still plenty of time to enter "Your Beary Best" in our challenge. You could win a $30 gift voucher to The Beary Scrap! 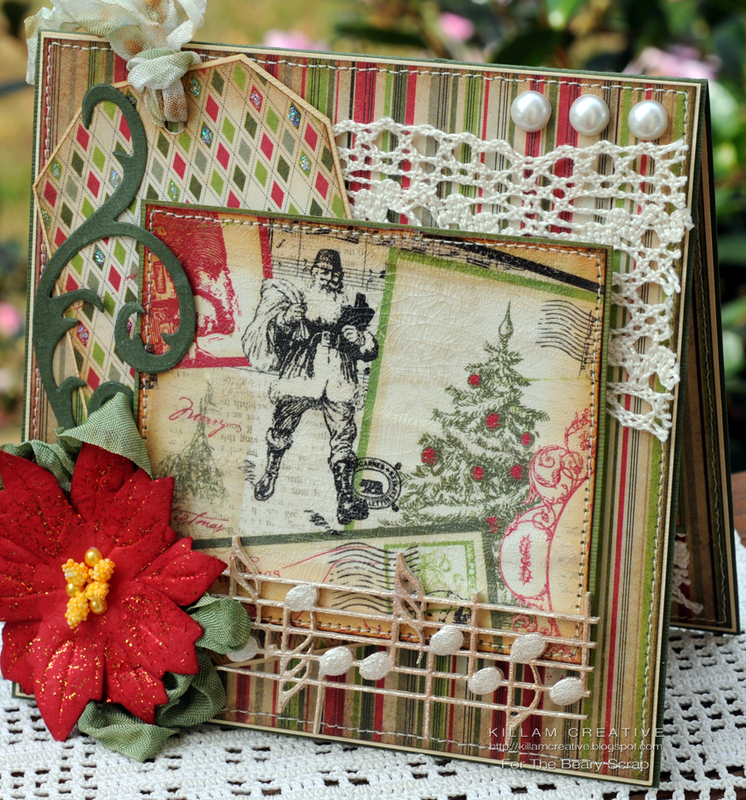 Welcome to the Etsy Greetings Team Holiday Traditions Blog Hop! The hop starts at the team blog, where you'll find a complete list of participants. Start there or jump right in here! This hop is all about sharing all sorts of holiday traditions found in our homes, on our plates and in our hearts. Sit back, relax and take a stroll though our traditions. 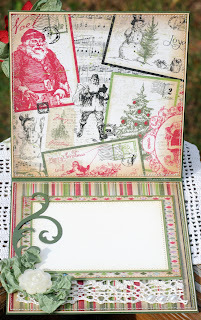 Along the way you'll find poignant stories, yummy recipes and great holiday printables. There's no time limit so feel free to browse our blogs - maybe you'll find a new tradition to start with your family. The tradition I want to share is cookies. There was a time when we didn't have a lot of extra cash for Christmas gifts, so we "splurged" on a whole lot of baking supplies and made cookies in lieu of traditional store-bought gifts. I was ambitious and took on 15 different recipes, most of which I'd never tried before. We were living in an 800 sq ft. apartment in Baltimore. The kitchen had room to move around but the only real counter space was a 24x36-inch butcher block island-on-wheels we had in the center. When I think about it now I'm amazed at how much I accomplished on that island. All of the cooling happened on the dining room table, which was also my husband's pizzelle-making station. Our families and friends were thrilled to receive our handmade goodies that year. I didn't know it then, but the cookie tradition was born. In the 14 years since, not one holiday season had passed without hearing this: "You're going to make cookies this year, right?" Over the years I have added new recipes and retired others. There were a few that just weren't worth the effort (oh, the pinwheels!) and new flavors I wanted to try. I remember every cookie I made that first year and still have all the recipes. 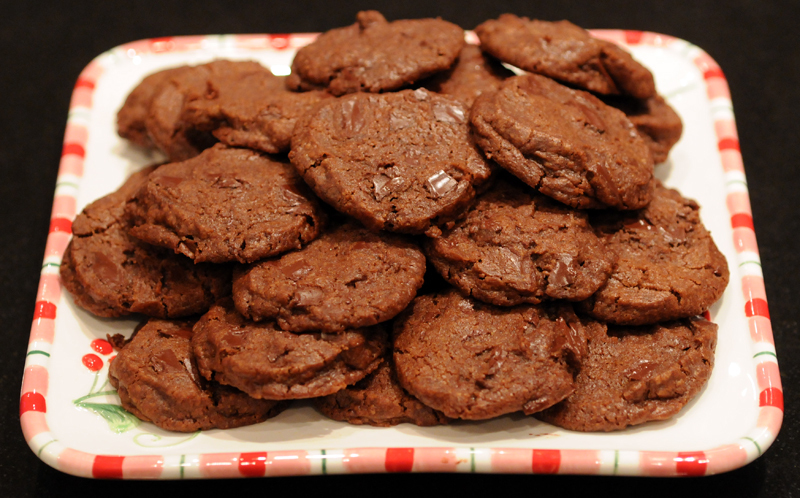 Today I want to share my absolute favorite cookie recipe: World Peace Cookies. They have the perfect combination of salty and sweet that really tickles my tastebuds! It's a recipe from Dorie Greenspan and has been all over the internet for many years. 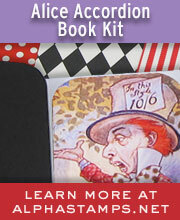 You might recognize them as Korova Cookies, too. Hello friends! 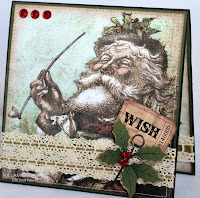 I hope you are finding time to join The Beary Scrap Design Team & Challenge blog's month-long November challenge. We want to see Your Beary Best! 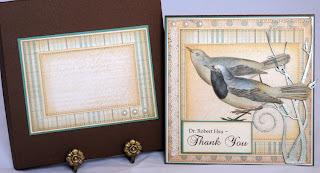 Today I have a card to share using Authentique's "Wonder" 6x6 paper pad. I received a Beary Scrap package last Thursday and immediately had to dig into this paper. 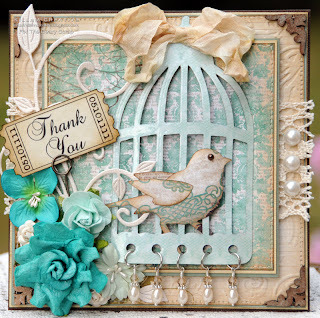 Love the colors and the vintage feel! 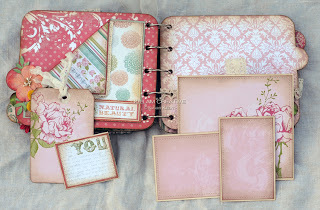 All of the patterned paper is from the pad. 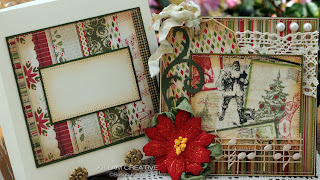 In addition, I used green and french vanilla Bazzill card stocks. 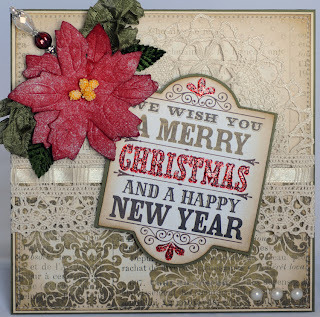 The sparkle comes from Stickles in Star Dust and Candy Cane, and I added Kaisercraft yellow pearls to the flower. The seam binding is Sage and Ivory - I color-distressed the ivory seam binding by dabbing it onto Bundled Sage and Vintage Photo Distress Ink. 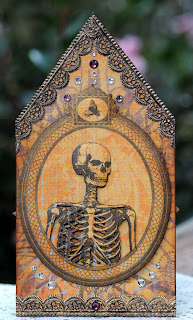 The center piece was cut from a cool postcard-themed sheet and painted with Rock Candy Distress Crackle Paint. Thanks for visiting today! Please join our "Your Beary Best" challenge - you could win a $30 gift voucher from The Beary Scrap! Hiya folks! So I wanted to try my hand at a mini album and worked on this off and on for many weeks. I've finally finished it! I absolutely adore it and wish I had a little girl or niece to give it to (instead, it's in my Etsy shop). There are a lot of photos - click on each one to view the full size! The base of this album is Prima Build-A-Book acrylic album. I really like that the pages are nice and sturdy (vs. paper bag albums). All of the papers are from Echo Park's Victoria Gardens line. I used both the 12x12 sheets and pages from the 6x6 pad. 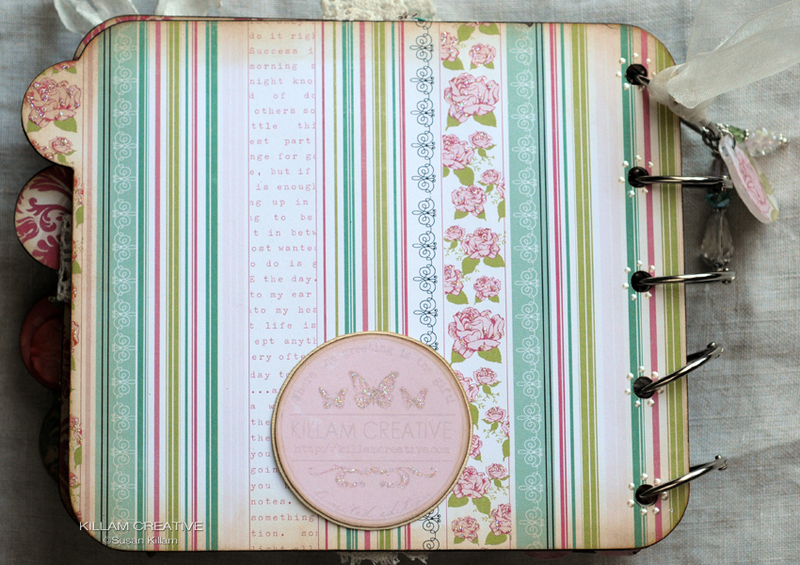 Here is a look at pages 2 and 3 with photo and journaling tags in place (top). Almost all of the tags are sewn on each side, and many have embellishments. The album includes enough self-adhesive photo corners to put one photo on each tag. Here are pages 2 and 3 with the backs of the tags showing. 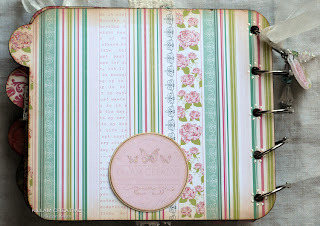 The journaling tag on the top left is meant for an album title or other identifying info so the photo shows the lines on the tag front. Pages 4 and 5 with tags in place. See the beady baubles hanging on the green tag on the left? Here are the backs of tags on pages 4 and 5. The "You" tag is plain on the reverse side, without sewn edges. 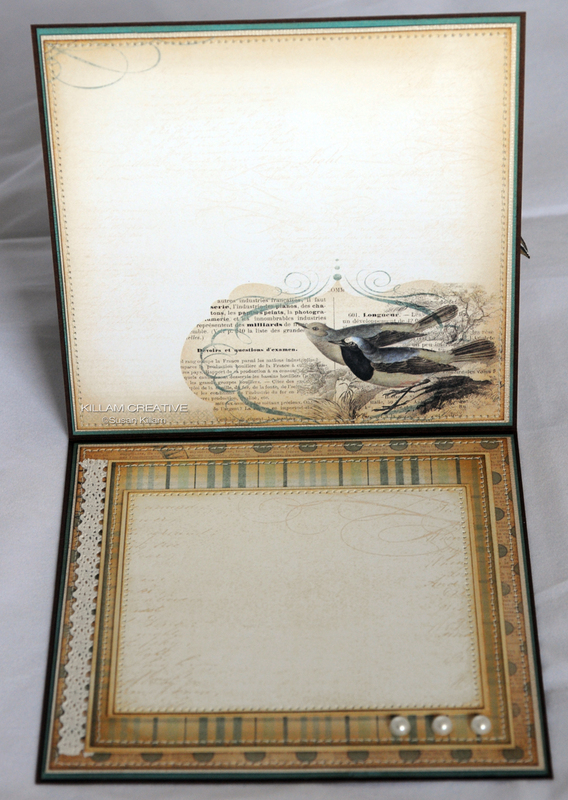 Page 6 doesn't have pull-out tags but it does have a large space for photos. Page 7 has 3 tags - I had a lot of fun with the text on the Echo Park papers throughout the album. Pages 6 and 7 showing the reverse side of tags on page 7. Hiya folks! As you might know, I have an Etsy shop where I sell my cards, stick pins and mixed media art. I am fortunate to have wonderful customers who visit my shop often. Every once in a while I am asked to customize a greeting card. This is one of those cards. I've used the My Mind's Eye Portobello Road papers over and over. It's quite possibly my favorite line! My lovely customer Lynn purchased a card weeks ago and framed it. Last week she contacted me to make a "thank you" card for a special person in her life. She wanted something similar to the framed card that would be appropriate for a male. There is an extraordinary amount of layering going on here! I just couldn't stop. :) What I want to share the most is the grasses on the right. That is a Dusty Attic laser cut on which I painted a luminescent white acrylic then dabbed on a light bluish-green. Over top I layered Ranger's Rock Candy Distress Crackle Paint. I love the effect! 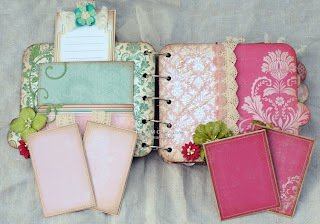 I used a combination of 12x12 sheets and pages from the 6x6 pad. 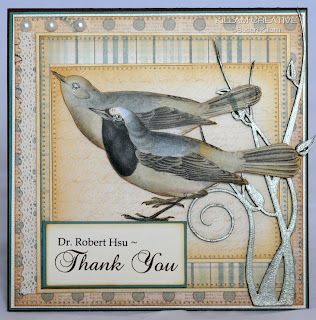 The blue plaid and the birds on front are both 12x12. 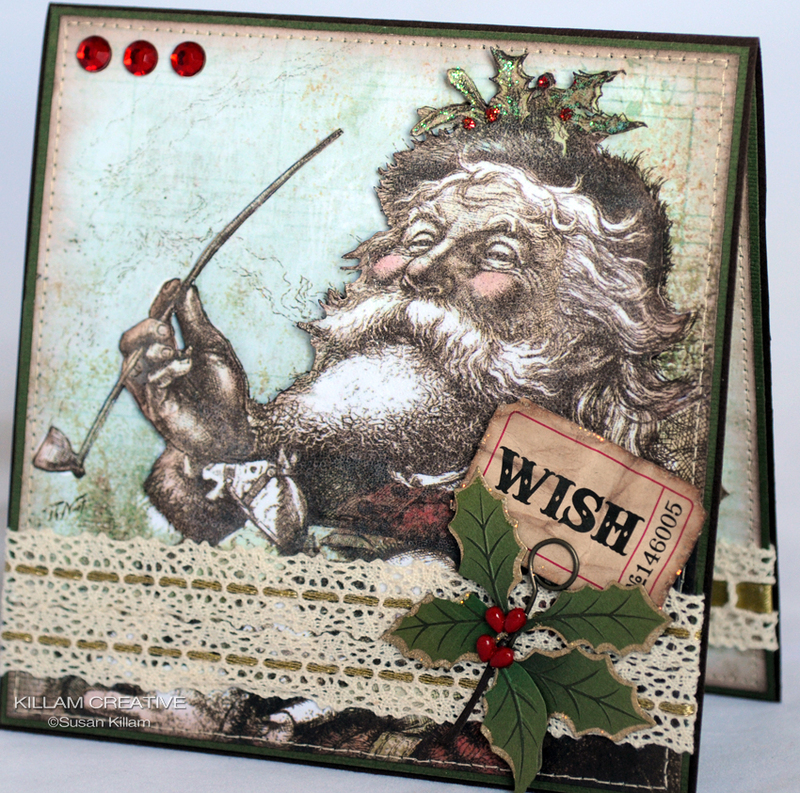 Hiya crafty friends! 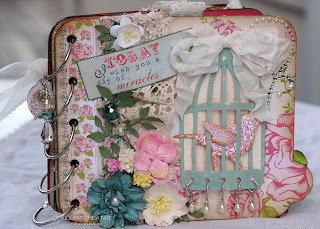 Over at The Beary Scrap DT & Challenge blog we're a few days into our month-long challenge and I'm so impressed with all the entries so far! You are definitely showing us "Your Beary Best" and we appreciate it! Today I have a simple Christmas card made with My Mind's Eye Lost and Found Christmas. 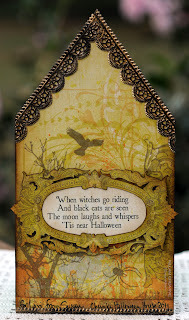 I used one of the die-cut embellishments from the 12 x 12 kit and put a green layer behind it. 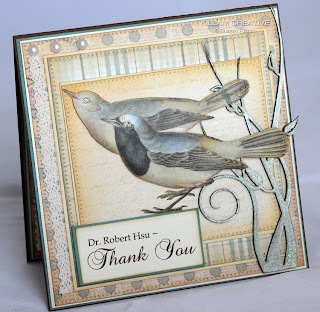 The card base is the same green, so it's a nice little accent. I spritzed the poinsetta with Glimmer Mist and it's a lot more subtle in person! So is the Glossy Accents over the red "Christmas" and bits on the die cut embellishment. My camera was picking up all kinds of light today! 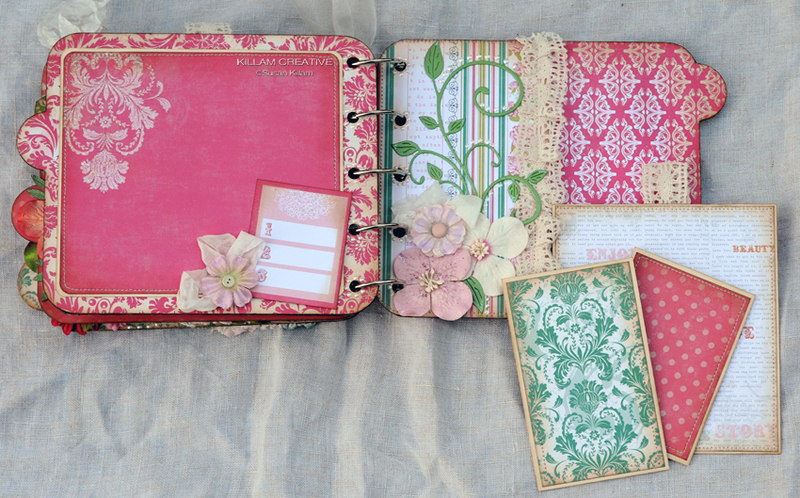 I used a bit of green seam binding behind the flower and Kaisercraft pearls in the corner. The stick pin is one of my Killam Creatables, and since looking at this photo I've decided to add a second pin. That one looks lonely! Thanks so much for visiting today! Our "Your Beary Best" challenge runs ALL MONTH with a $30 gift voucher as the prize. Won't you show us your beary best? Hiya bloggers! As promised, here are two of my most recent projects. The first project I want to share is a mixed media piece made for my sister's birthday. Her birthday is November 2nd, which is also a part of Dia De Los Meurtos festivities - and she's a big fan. I had a lot of fun with this! I like all the skellies, but the singing one on the far right cracks me up! I made all the "lanterns" with bead and bits, and scoured my backyard for sticks that would bend just right. The grass is shrubbery greens I found in the model train section of the craft store. It's really cool stuff and I can't wait to use it again. The second project is a "chunky Halloween house" I made for my sister. I used Pink Paislee's Hocus Pocus paper - love this line! This is the front - click the photo to see more detail. It's about 7" tall. The skeleton is 3 layers: background, full-oval cameo and the skeleton on top. The fly is also dimensional with little raised wings. The crystals are all Swarovski flatbacks. And here's the back. 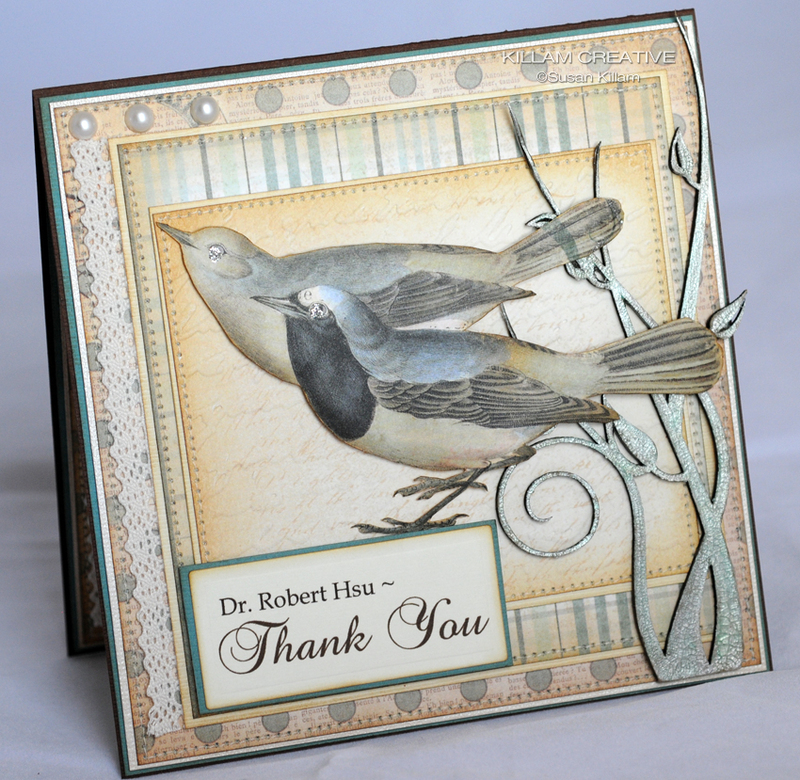 The background is from a 12x12 sheet and the cut-out frame is from a 6x6 of the same design. If you want to see a small sampling of her art, go to CalliopeDesignStudio, her Etsy shop. 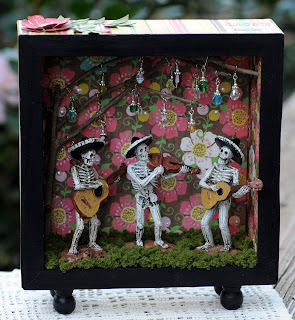 You can also find her on Craftster.org - her user name is "cackle" and she makes incredible art! Thanks for stopping by today. I'm going back to Christmas cards now. Have a swell day!